Squash is one of the most underrated superfoods. In all honesty, I am not crazy about eating baked squash, but when I add it to my bread recipes, I absolutely love it.You can use any kind of squash for this recipe, from pumpkin to acorn squash. Each kind gives the bread a unique flavor that is destined to be a pleaser. In a large bowl, mix water and yeast. Add almond milk, vegan butter, coconut sugar, and sea salt. Stir. Mix in squash and 3 cups bread flour. Slowly add in the remaining bread flour, enough flour to make a dough that follows the spoon around the bowl. Turn dough out onto lightly floured surface and knead for 4 minutes, adding more flour as needed until the dough is soft and smooth to the touch. Place dough in large greased bowl. Turn dough over in a bowl so that the top is also lightly greased. Cover with clean cloth and let rise in warm, draft-free place for 1 hour or until doubled in size. Punch down dough. Turn dough out onto lightly floured board and knead for 4 minutes or until the bubbles are out of the bread. Divide dough into 24 pieces. Shape each piece into a roll. Place rolls onto 2 greased baking sheets. Cover and let rise in warm, draft-free place for 45 minutes or until doubled in size. 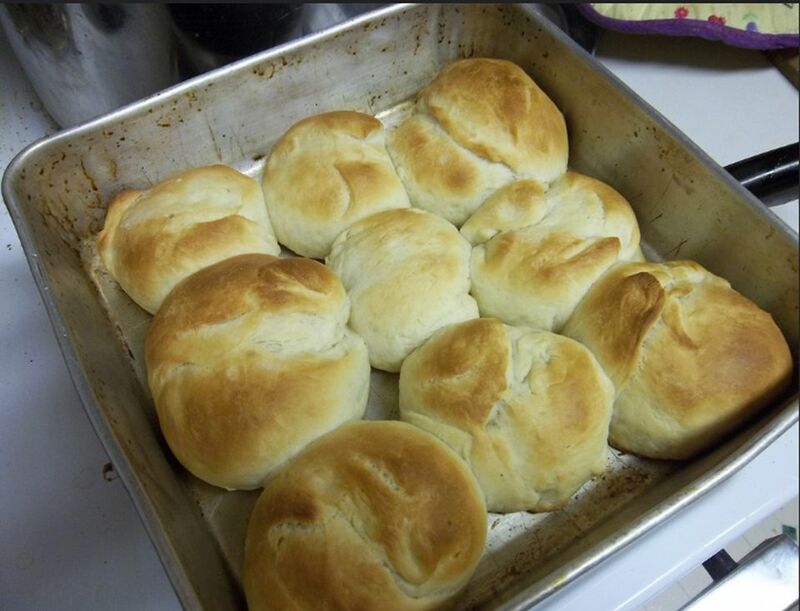 Bake rolls at 400 degrees F for 55 minutes or until the rolls are brown and sound hollow when the tops are tapped. Remove rolls from sheets and let cool on a rack. Avoid using water straight from the tap. Chlorinated water and water that goes through a water softening system will kill off the yeast in your bread and prevent it from rising. Instead, use bottled spring water when baking bread. You can use any kind of milk in this recipe, including coconut, cashew, soy, and rice milk. If you are out of milk, replace the milk with water. Coconut sugar can be found in some grocery stores and in most health food stores. It is a common vegan-friendly sugar. Coconut oil does not alter the flavor of this bread. Feel free to experiment with different gourmet salts. Should I Use Dry Milk in Bread Baking?